Preheat oven to 375°F. 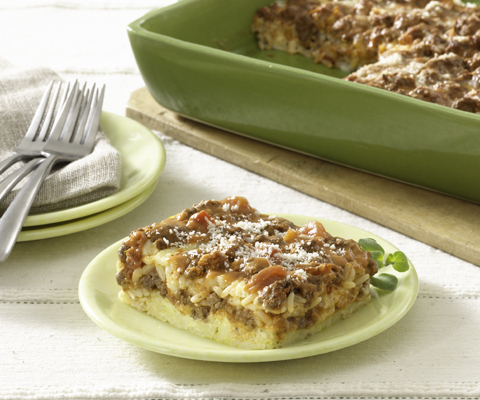 Grease a 9 x 13-inch baking dish with nonstick cooking spray; set aside. Bring water to a boil in a large saucepan. Add eggplant; cook for 3 minutes. Remove and drain on paper towels. Season eggplant with garlic salt. In a medium bowl, combine the sausage, parsley, breadcrumbs, egg, pepper and salt. 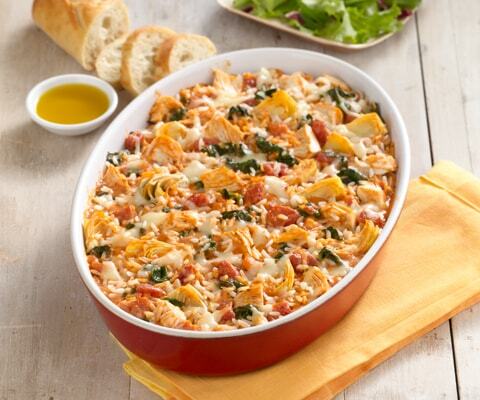 Spread ½ cup pasta sauce over the bottom of the prepared baking dish. 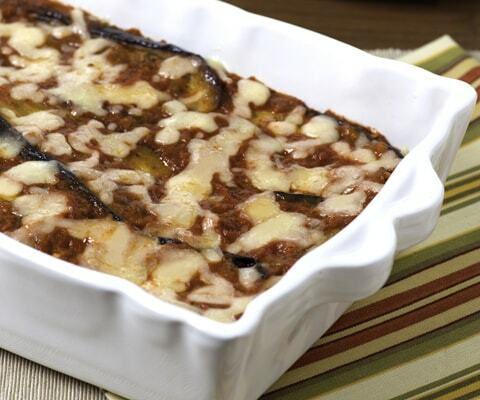 Top with half the eggplant slices. Cover evenly with the sausage mixture and provolone cheese. Layer half remaining pasta sauce, remaining eggplant and pasta sauce over top. Bake, covered, for 40 minutes or until hot and bubbly. Top with mozzarella cheese. Bake, uncovered, for an additional 10 minutes or until melted. Let stand for 5 minutes before serving. 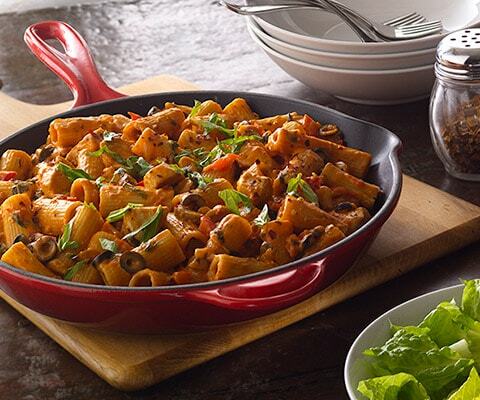 Just as delicious with Classico Traditional Sweet Basil Pasta Sauce. Sprinkle with thinly sliced fresh basil before serving, if desired.